Why Should You Install a Window Well Grate? Is a window well grate a good choice for covering your home’s window wells? While you should consider all of the choices available, including many types of window well covers, grates provide some unique benefits that covers do not. Following are four reasons you should consider the advantages of installing grates above your home’s windows. Grates are sturdy and fitted to the size of your window well. Open wells are safety hazards for pets, children and even adults, and metal grates eliminate this risk. They are made with rust-resistant materials and designed to last for years. 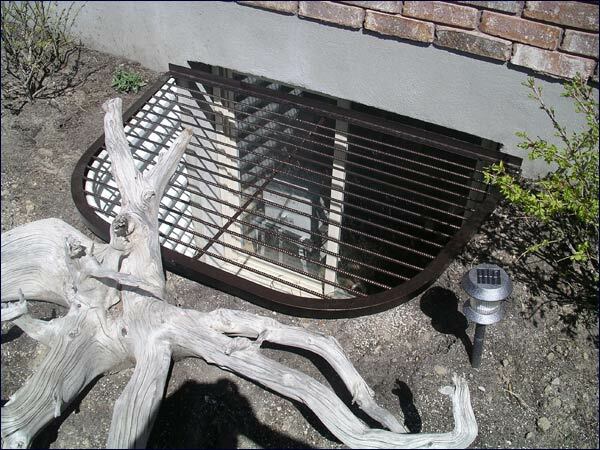 While most window well covers are permanently placed over the well openings, grates include convenient opening mechanisms that allow homeowners to lift the grate easily from the inside. The opening hatch can be installed to coincide with a safety exit ladder so occupants can exit quickly in case of a fire. Depending on the product, you may also be able to prop open the hatch when needed. Even though the grate can open, it does not pose a security risk to your home. The hatch can be securely locked from the inside to deter potential intruders, and the heavy-duty construction adds another level of defense against burglars seeking entry to your home. Clear window well covers may allow light to enter your home, but grates offer the same plus another benefit: ventilation. Airflow is important for basements, especially spaces that are finished and used regularly as bedrooms or living areas. A cross breeze can help reduce and eliminate dust and other allergens that bother your family members. The egress windows can be opened, and the grates allow fresh outdoor air to enter without the need to lift the cover off of the well’s opening. In this case, a window well grate is more convenient when compared to a cover because of how it positively effects lower level living. In the harsh winter months, covers can accrue a heavy load of snow and ice buildup. While high-quality covers are built to withstand the pressure, it can prevent natural light from entering the lower level. Heavy snow can also wear down the product over time. A window well grate is the perfect solution, as snow and ice fall through the cracks, with the moisture disappearing through the well’s drainage system. Without consistent pressure weighing down the metal grate, it has the potential to last for years on end. Contact Windowell Expressions to find out more about the many solutions available to increase the safety and functionality of your window wells. A fitted window well grate could make a positive difference in your home’s overall safety, comfort and convenience. This entry was posted in Blog and tagged Window Well Clear Covers, Window Well Covers, Window Well Custom Grates, Window Well Foundation Liners, Window Well Liners, Window Well Standard Grates on October 27, 2015 by admin. Should You Invest in a Foundation Cover? A foundation cover can provide your home with the protection it needs while giving it the face-lift it wants. You do not have to look at an unfinished, gray foundation wall every time you pull into your driveway — you can change the entire look of your home with a simple foundation cover application. But is a foundation cover a worthwhile investment for your home? Your home’s foundation is exposed to all types of precipitation in every season. 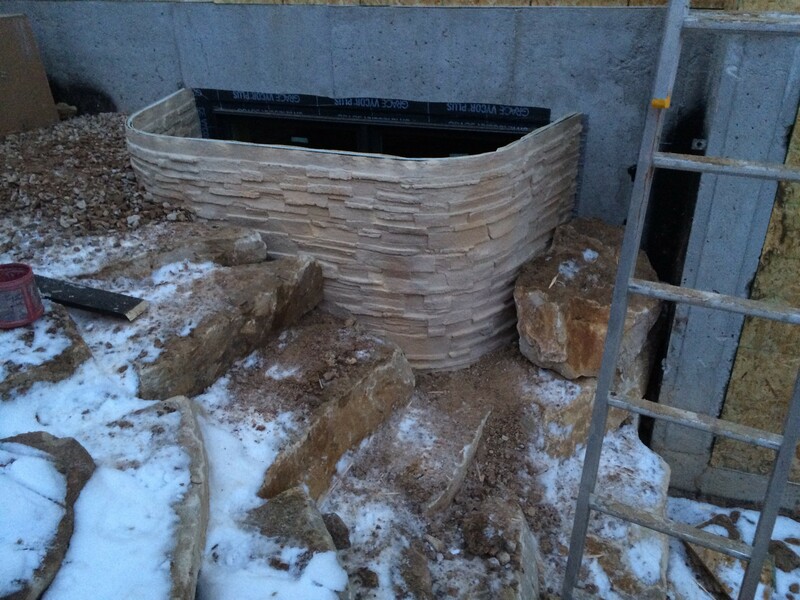 Adding a liner to the outside walls helps limit the damage from snow, ice and rain. A coating takes the brunt of the weather, instead of the cement walls. Flooding and drainage issues can plague a home that goes unprotected. Liners assist in preventing devastating water damage and the subsequent need for costly repairs. Foundation covers come in a variety of styles and colors. You can select the option that will coordinate best with your current home’s design, or add a pop of color as an accent to your siding or woodwork. A bare, concrete home foundation can be unattractive, but liners make your home look finished. Raise the curb appeal of your home for your own enjoyment or if you are preparing to put your home on the market — the newly covered exterior would be sure to add eye-catching charm. Many products are available in faux stone and brick designs. These options are popular because they are elegant and look realistic, but they don’t have all the drawbacks of genuine stone or brick. They are not thick or heavy and will not add unwanted weight to the foundation’s walls. The veneer coverings are lightweight, while still providing durability. A trained professional can easily and quickly install the product — you don’t need to pay for expensive masonry services when you opt for a high-quality alternative cover. Are Foundation Covers Ideal for Your Home? 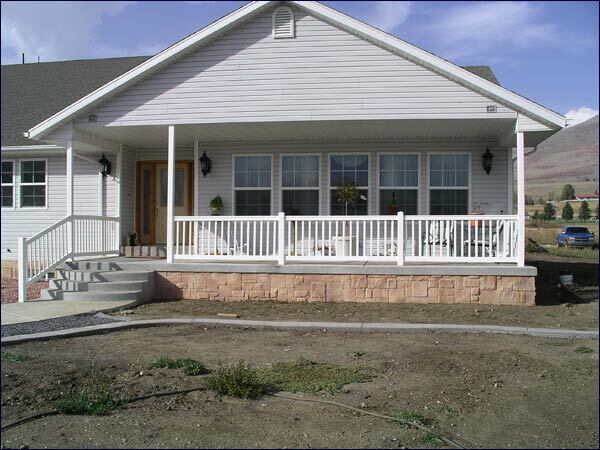 Foundation covers are commonly applied to new construction homes or properties undergoing major remodeling projects. However, these products can also be applied to existing homes, as long as the exterior foundation walls are in an acceptable condition. If you are searching for an effective, immediate method of sprucing up your home’s exterior, foundation covers are the ideal choice. They provide stability and protection. Contact Windowell Expressions today and get more information about the widely varied product line and numerous options of foundation covers available to you. This entry was posted in Blog and tagged Foundation Cover, Window Well Clear Covers, Window Well Covers, Window Well Custom Grates, Window Well Foundation, Window Well Foundation Liners, Window Well Liners, Window Well Standard Grates on October 12, 2015 by admin. You may need to replace your window well if your basement floods unexpectedly, but what are other telling signs that may signal the need for this home improvement project? It is best to take care of a window well replacement before it causes expensive damage to your home, as investing in a watertight, properly draining system is much more affordable than flood damage repair. Learn to recognize the signs it is time to replace your window well, and know what to expect. Look at the fixture from the outside — you may see many signs of wear and tear, such as bumps, scrapes and rust. These are a real negative if you are trying to sell your home – curb appeal is key. A beat-up liner does not automatically spell disaster, but if you also notice signs of moisture leaking into your basement, this might be the deciding factor in favor of the replacement. Even if you do not spot any condensation or moisture, signs of mold growth around or beneath the basement window can signal that the product has stopped functioning properly. Replacing a window well might seem straightforward, but actually carrying out the project is time-consuming and requires skill and knowhow. Without these, you might end up with a flood. It is best to hire a professional, who will start with excavating the soil around the current window well and detaching the well from the home’s cement foundation. The professionals need to inspect the drainage system you have in place. If it is not functioning correctly, they may have to keep digging in order to install a new drainpipe that either enters the home’s foundation and connects to the sump pump, or drains out and away from the foundation. Once this is complete, a layer of gravel about four inches deep is spread over the top of the drain, forming the base where the new product will sit. After cleaning and smoothing the foundation wall if necessary with mortar or paint, the team will fit the new well in place and securely fasten it to the foundation with a masonry drill and pegs. Another layer of gravel should be added to the bottom, then the previously excavated soil placed back around the edges of the new fixture, providing support and completing the project. Contact Windowell Expressions with all of your window well concerns, and receive a free estimate for professional, efficient and correct installation. This entry was posted in Blog and tagged Window Well Clear Covers, Window Well Cover Replacement, Window Well Covers, Window Well Custom Grates, Window Well Foundation Liners, Window Well Liners, Window Well Replacement, Window Well Standard Grates on October 5, 2015 by admin.